Heavy metal and physics: could there be a more unlikely combination? 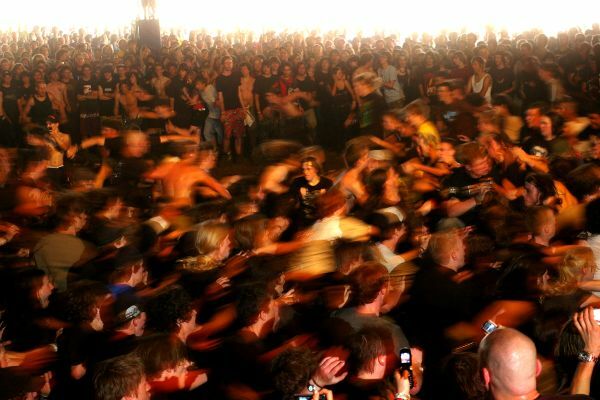 As it turns out, there's a lot of surprising physics going on in mosh pits at heavy metal concerts, as shown in a recent study by group of physicists from Cornell University. The goal of the project was to figure out how humans behave in extreme social conditions, like those found during riots and protests. Over the years, experiments and computer simulations have helped scientists work out the basic rules of pedestrian traffic moving down the street. However, we don't know much about the collective behavior that emerges from panicked crowds -- it's not exactly ethical to start a riot for the sake of science. So this group of researchers turned to the next best thing: Heavy metal concerts. In the extreme social conditions at these shows, the group found two different types of collective motion: gas-like mosh pits and vortex-like circle pits. Just like moshers bouncing around in a pit, it's near impossible to tell where molecules of air in a room are going to be in the future. To deal with this problem, physicists started describing molecular gasses with statistical mechanics over a hundred years ago. As the researchers discovered, mosh pits have the same statistical character, and hence the analogy. Circle pits on the other hand are just the opposite: highly ordered and more regular. The researchers found computer simulations could reproduce circle pits if the simulated moshers had a slight tendency to follow their neighbors, just like a flock of birds flying in formation. In the long run, the team hopes that this work leads to a better understanding of "crowd mentality" and the sort of collective behavior that takes over during riots, protests, and other situations of mass panic. 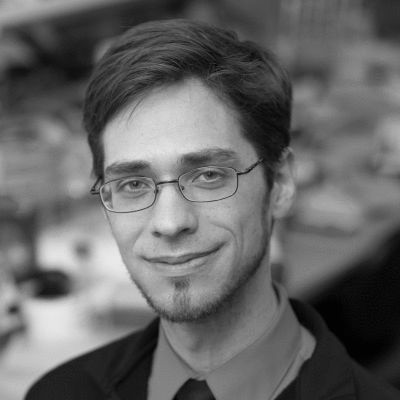 On a final note, as the author of both this HuffPost blog post and a co-author on the paper, I'd like to add a personal story from behind the scenes of how science gets done. In the early stages of the project, I wanted to collect live video footage at concerts for data analysis. Not knowing what else to do, I figured it would be a good idea to go to a concert with a camera and tripod, and just try to walk confidently through the back door. Surprisingly, this worked. Unfortunately, there were no decent mosh pits to film -- imagine me sneaking past the bouncers like Steve Irwin in the brush, only to find the mosh pits weren't out that night. So instead, all the observational data we analyzed in the study came from the next best place: YouTube. Though the project wasn't supported by any actual research money (it's all done out-of-pocket), we still want to take it further. To make any substantial progress, we would need concert organizers who are willing to let us film the crowds at their shows. But hey, if no one wants to get on board, maybe we could host our own metal concert -- Does this sound like an idea for kickstarter campaign, or what?